Dead End Thrills is a lovely blog that takes screenshots of beautiful games and presents them as best they can. For example, to generate this lovely image from Stalker, they used nine graphical mods. These are things you can add to the game to make it look even prettier. 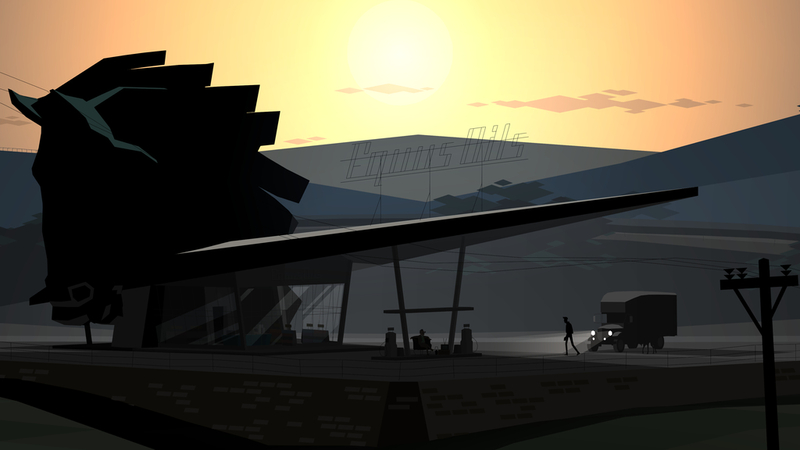 To produce the image from Kentucky Route Zero above? None. Just a bit of offline antialiasing in Photoshop to smooth some of the lines. It’s a beautiful game. And now you can buy it on Steam.